We love making pannacotta because it is one of the easiest desserts to make, lends itself to almost any flavour combination you can dream of and never fails to taste good. 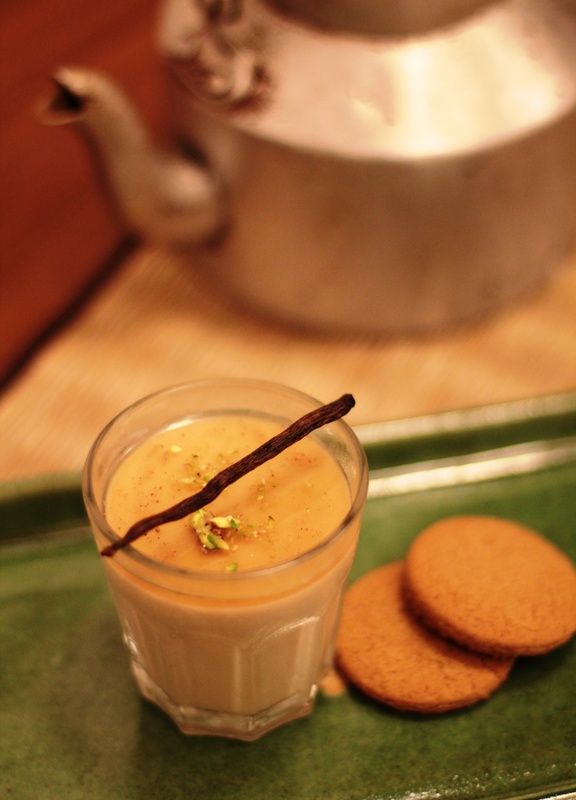 Aniruddha’s Indian spin on the classic Italian dessert – Masala Chai Pannacotta served with a lightly spiced ginger sauce and pistachios and a side of ginger biscuits. Oh, and the kettle at the back? A classic tea kettle you will often see at an Indian tea stall. This particular one was obtained at Pydhonie in Mumbai. This entry was posted in Mumbai memories and tagged dessert, masala chai, pannacotta. Bookmark the permalink.